Combine a medley of signature Italian ingredients and everyday home cooking with this delightfully simple recipe. 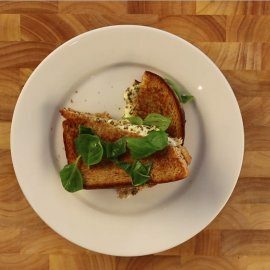 The delectable pairing of flavour-filled sundried tomatoes and punchy green pesto, infused together in a way only melted mozzarella can achieve, housed within two slices of crunchy, buttery brown bread makes for a super-comforting lunchtime snack. Take a frying pan or wok with a large base and heat on a medium setting before placing one slice of bread into the pan, ensuring the bread is buttered on both sides. 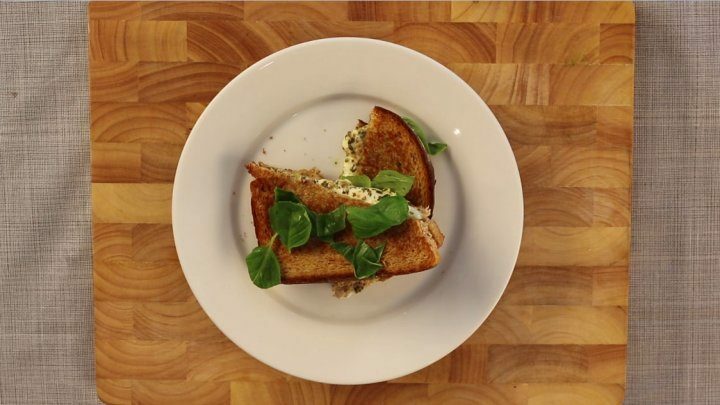 Spread two to three teaspoons of pesto evenly across the bread and add sundried tomatoes. Some like to pre-slice the tomatoes, but whole, straight from the jar, makes for some bursting flavour pockets within the panini, without overpowering the rest of the flavours. Last but not least, add chunks of sliced mozzarella before closing the panini. Cook until the bread is golden brown, and the cheese is sufficiently melted and serve with some torn basil leaves to garnish. Bellisimo! If you liked this recipe, follow us on Twitter and Facebook for more #SimpleFacts recipes along with home inspiration, product updates and more.